Buy a registrar email list to connect with a vast array of different professionals in higher education. Ensure that these record-keepers have records of your useful product or service by sending mass emails or direct mail with the information listed in our ready-to-download registrar database. This bulk email list contains the detailed contact information of those working as registrars at numerous institutions. If you want to reach highly qualified, authoritative professionals who often have sway over the world of higher education, this affordable registrar mailing list is the perfect solution for you. Departments or offices of the registrar at colleges and universities typically are charged with the upkeep, maintenance, and holding of an institution's records for both current students and alumni. That includes keeping transcripts, creating class lists, recording grades, tracking dropped classes and withdrawals, and coordinating graduations. They often have close ties with their respective admissions and alumni affairs offices. They need an assortment of paper-keeping solutions, software, and tools to help them coordinate students' information, all while maintaining a high level of security and discretion. If you have some sort of product that will help the fast-paced world of the registrar, connect with them using our accurate registrar mailing list. 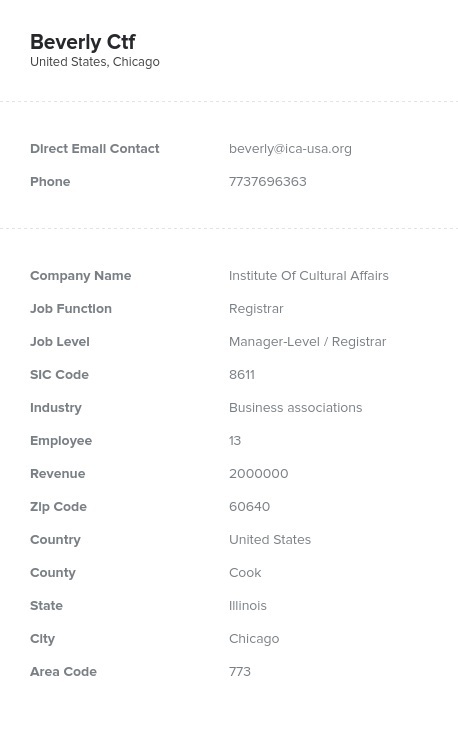 This ready-to-download and -use email database of registrars from Bookyourdata.com contains their direct emails, names, organization information, addresses, and even phone numbers. It provides quick access to this powerful group of decision-makers within the academic world. Share records with numerous registrar offices at colleges and universities with our targeted email list today!